Cashcom’s gift cards promotes commercial venues and shopping centres of all sizes. The solution is based on a single idea – to make it easy for you as the customer. We adapt ourselves to suit your needs and take care of all administration. 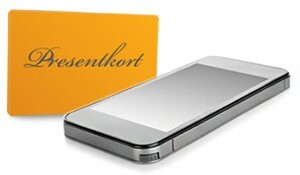 Would you also like to have the best gift card system? Are you thinking about producing a gift card for your commercial venue? We at Cashcom are passionate about producing new and developing existing gift card systems, always based on the requirements of the current commercial venue.